I rarely get any time to myself, ever. That’s just how life is when you have two small children who are as ever-perplexing and unpredictable as tiny, furious dictators. Any time to be alone is like gold dust – even if it means a dental appointment. A bus or tube journey where I don’t have to restrain a small person from throwing themselves on the floor to eat discarded chewing gum, or curtail some ear-splitting shrieking, is a GIFT. When I got a few hours ‘off’ yesterday, I ran to Soho. I didn’t care where I ended up, really. 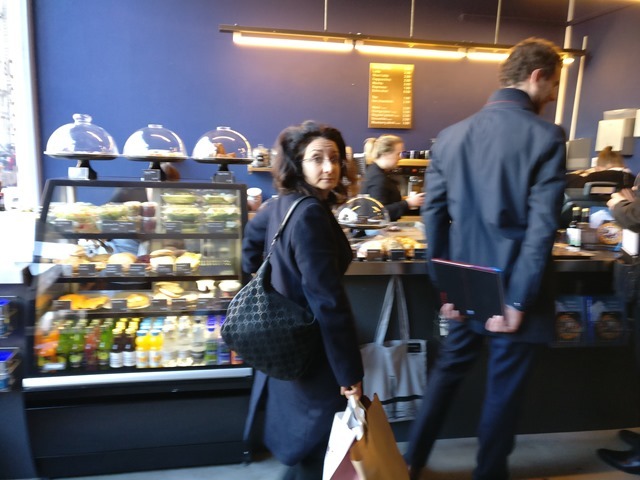 Well, actually I had a bit of a plan – it had to involve coffee and cake. And no children, thank you very much. So I basically had 40 minutes of ‘free time’. I was in Golden Square. 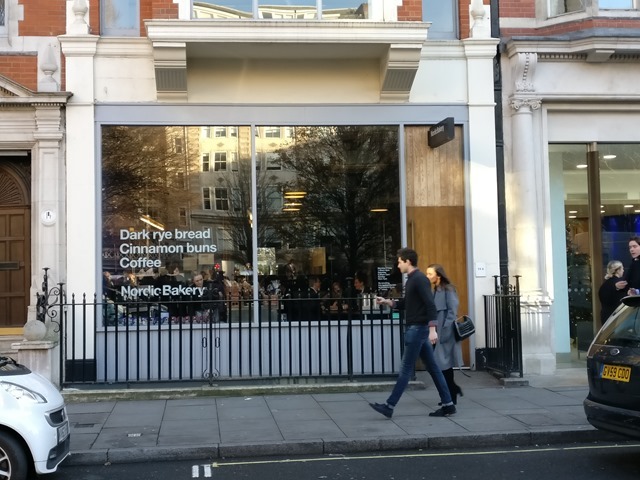 I looked across the road and there was The Nordic Bakery, looking very Scandinavian and serious. 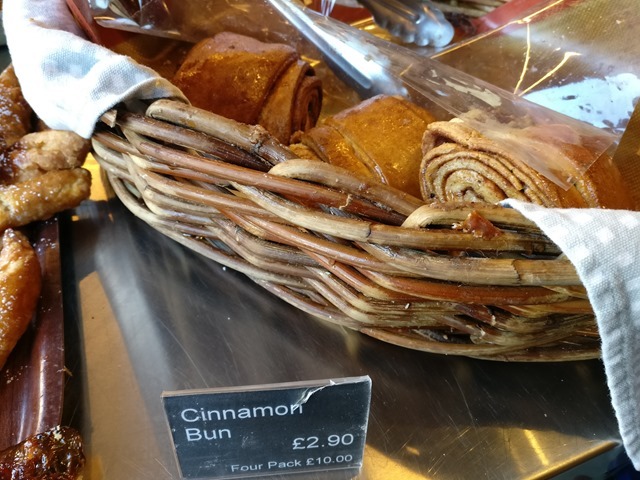 I had two thoughts: ‘cinnamon buns’ then, ‘immediately’. And I propelled myself there at speed. And how happy I was that I did. 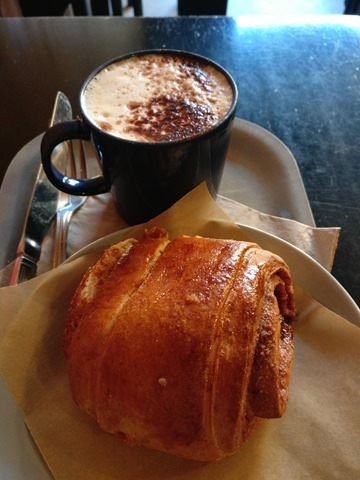 There are many delights inside, the coffee is strong, the staff are friendly, the cinnamon buns are the size of small Labradors. 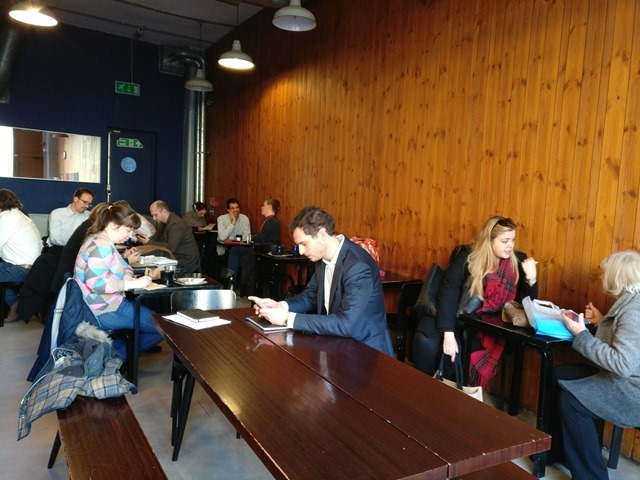 I sat at a table within earshot of a man having a job interview; it was fascinating and cringeworthy all at the same time. He looked a bit insane and intense, like a young bookish professor who might keep a few human remains locked away in his basement. As he leaned forwards across the table to the person interviewing him, his eyes bulged through his spectacles. He seemed supremely arrogant, and had a whispery voice that gave me the chills. I don’t think he got the job. 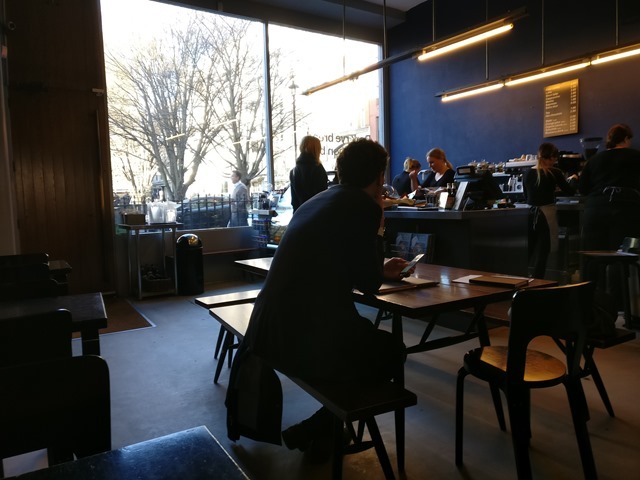 Anyway, eavesdropping aside, an immensely positive thing about the cafe is that it is calm and elegant, not in a pretentious, fussy way, but in a sort of noble, relaxed Scandinavian way. You feel elevated by the dark blue walls, the dark wood and the minimalist decor. You could come in and tap away at your novel or read a book – nobody would bother you. 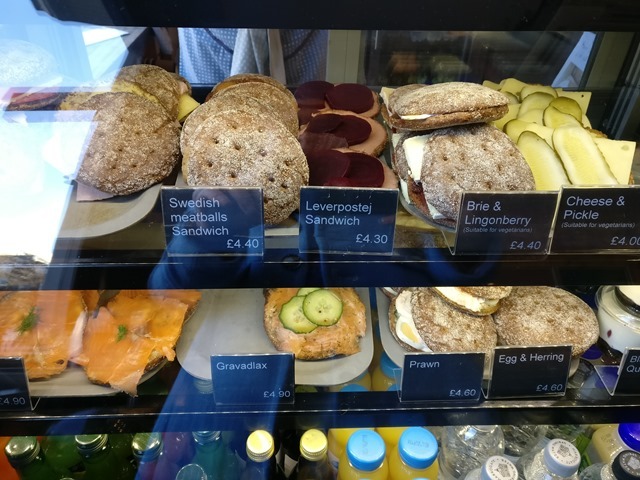 They sell interesting dark rye breads, cakes that I’ve never seen before, and a festive-looking drink called ‘glogg’. I wish to come back often, but fear it’ll be another year at least before I get some time off again. Must. Try. Harder! 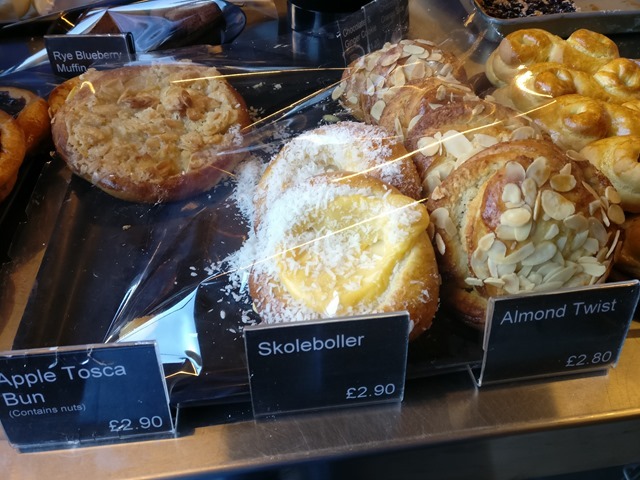 Intriguing looking cakes – what, pray, is a Skoleboller? 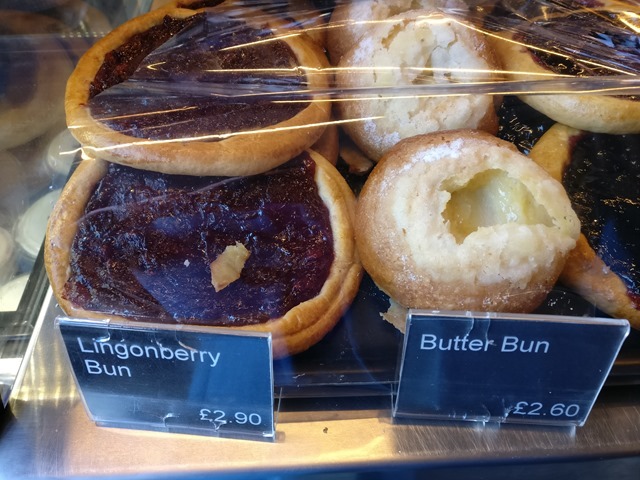 Looks like a custard-filled bun. 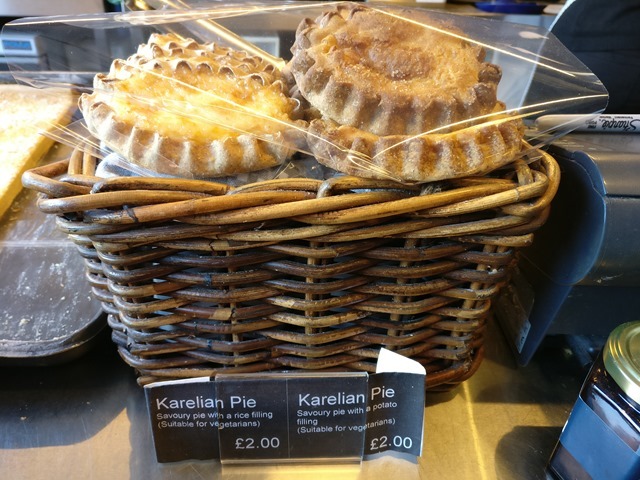 These vegetarian pies come with ‘savoury rice or potato fillings’. Look at him! All that time to think! 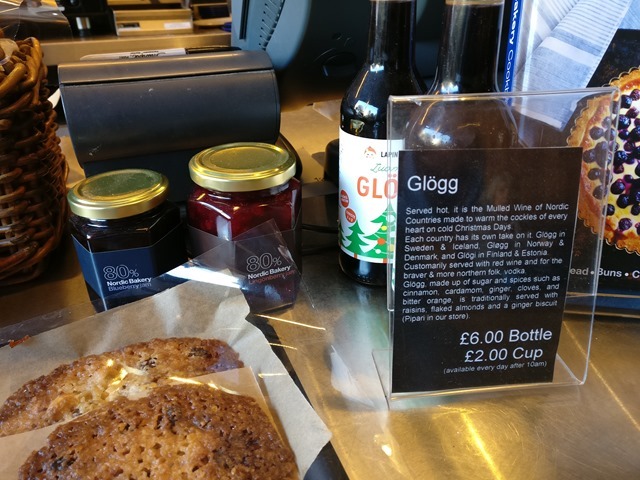 Glogg is ‘the traditional mulled wine of Nordic countries’. No children! Just people reading, chatting and thinking. Bliss.